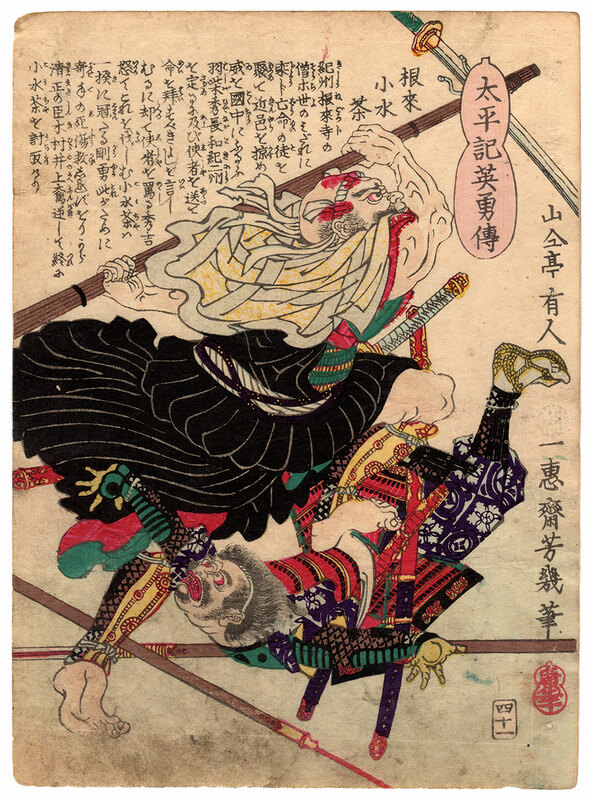 In this beautiful musha-e (武者絵) woodblock print, taken from the series "Legends of the Heroes of Taiheiki" (太平記英勇傳) by the artist Utagawa Yoshiiku (歌川芳幾), we see depicted Negoro no Komizucha (根来小水茶), a sohei (僧兵) warrior monk of the Negoroji temple (根来寺) in the ancient Kii province (紀伊国), while attacking enemies brandishing a massive club. 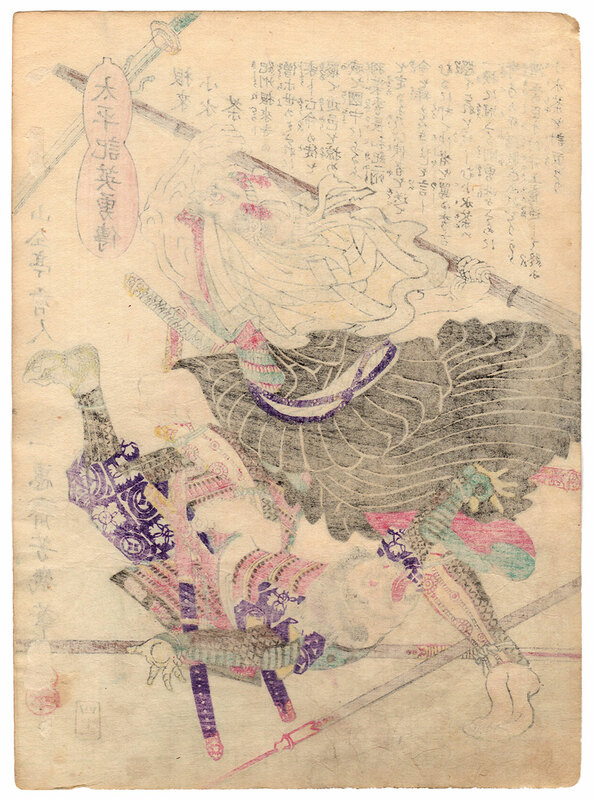 Taiheiki (太平記), the "chronicle of the great peace", is a literary work of the fourteenth century attributed to the monk Kojima (小島法師) which narrates the intrigues and political struggles that, between 1318 and 1367, divided Japan for succession to the empire. In the title of the series presented here, in Japanese "Taiheiki Eiyuden", the word "taiheiki" was used in order to avoid the censorship of the government by simulating a reference to facts from a remote past but, instead, were described the protagonists of the civil wars of the sixteenth century. 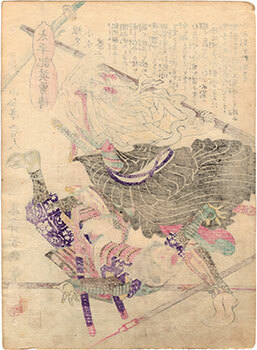 The print, made in 1867 by the publisher Hirookaya Kosuke (広岡屋幸助), despite the general aging of the paper especially in the lower part, is in good condition.